"There's no need to fear. 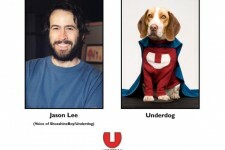 Underdog is here!" The superhero canine with a gift for rhyme returns in an all new live-action re-imagination of the classic cartoon, "Underdog." After an accident in the mysterious lab of maniacal scientist Dr. Simon Barsinister (Peter Dinklage), an ordinary beagle unexpectedly finds himself with unimaginable powers and the ability to speak. 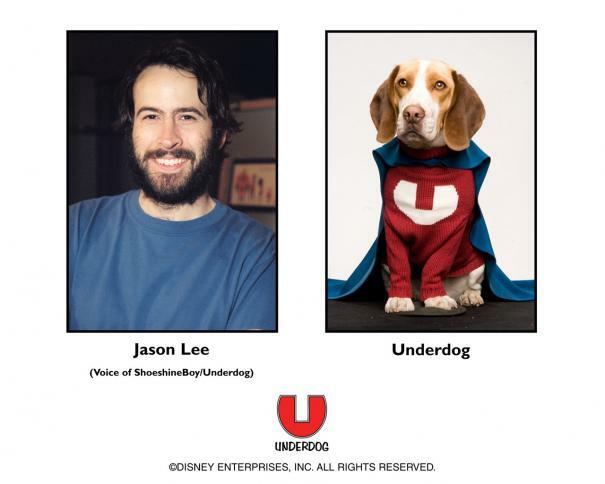 Armed with a fetching superhero costume, Underdog (voiced by comedian Jason Lee) vows to protect the beleaguered citizens of Capitol City and, in particular, one beautiful spaniel named Polly Purebread (voiced by Academy Award® nominee Amy Adams). When a sinister plot by Barsinister and his overgrown henchman Cad (Patrick Warburton) threatens to destroy Capitol City only Underdog can save the day. 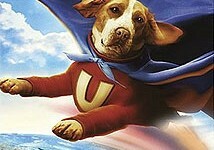 Utilizing state-of-the-art CGI special effects mixed with live-action, "Underdog" flies into theaters in summer 2007.